You’re Never Too Old For Mac And Cheese…This Ham-Filled Version Is Perfect For Everyone!! We remember mac and cheese as being our favorite dish when we were growing up and things really haven’t changed that much all these years later. While our palates have evolved and our list of favorites has expanded, there’s really nothing like a creamy, cheesy plate of pasta that brings back a wave of memories and makes us feel great no matter what. 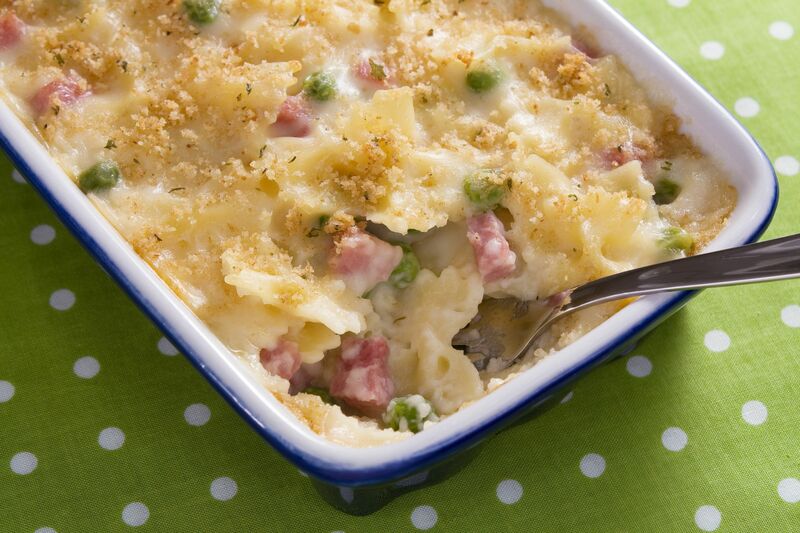 Here, we’ve spruced up our go-to macaroni and cheese recipe and thrown in some ham and peas, and finished everything off with a yummy, buttery and cheesy breadcrumb topping. We’re telling you, this dish is perfect for a family dinner, but we’d absolutely whip this up for nights when we’re entertaining…it’s just so good! Stir pasta, peas and ham into the sauce and stir together until coated, then transfer to baking dish.